The Denver Nuggets head north to play the Toronto Raptors at Scotiabank Arena tonight in a game featuring the No. 1 team in the Western Conference against the No. 1 team in the East. The Nuggets enter this game forced to limit and contain Kawhi Leonard, so they must make it a priority to focus on him defensively. Leonard is a player that has made a difference with his playmaking on both ends of the floor, so the Nuggets must get physical with him. Make him struggle to find spaces and take anything close to an open shot. The goal is to force other Raptors to score and carry the team. Also, this game will feature a very intriguing bench battle, as the second unit of both teams averages around 38 points per game. Denver’s bench has been really good this season and that needs to continue against the Raptors for them to have a chance of getting this win on the road. The Nuggets must also look to limit the Raptors’ transition offense as they are a team that likes to quickly push the ball up the court on both makes, misses, and turnovers, so Denver’s transition defense needs to be flawless throughout the entire contest. 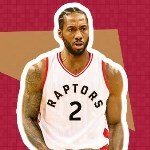 Toronto is a team that likes to use the transition speed to put immediate pressure on the rim, and then proceed to kick the ball out to knock down open three-point shots with players such as Kyle Lowry and Serge Ibaka among others. This will be one of the biggest challenges the Nuggets have faced so far this season as the Raptors are one of the few teams in the NBA that are in the top 10 both offensively and defensively. Expect a raucous, postseason type of atmosphere in this inter-conference game where the Raptors should prevail because they match very very well to the Nuggets and due to the homecourt advantage.